Do you know how to make a healthy popsicle recipe that your kids will really enjoy? There is just something about summer that screams popsicles. I don’t really like buying the popsicles in the store because they are normally loaded with artificial food coloring, artificial flavors, and artificial sweeteners. It is so much healthier to make them myself at home. There are a lot of different ways you can make healthy popsicles. It’s not so much what you put into the popsicle, but what you don’t put into the popsicle that matters. How you ultimately end up making them will depend on what you have at home and what you and the kids enjoy. This post contains affiliate links, and I will receive compensation if you make a purchase after clicking on my links. Most of the popsicles in the stores are brightly colored, which we know as adults is from artificial food dyes. If your kids are used to neon blue popsicles with sprinkles, they may initially be resistant to trying something that’s more healthy. Just have patience and you’ll find that they enjoy these as well. Get them interested in trying a more healthy version by letting them help make the popsicles. For a fun family trip, take the kids to a pick your own berry spot and let them pick the berries to make the popsicles with. A healthy popsicle has only a few basic ingredients. You’ll also need some sort of popsicle mold and sticks. 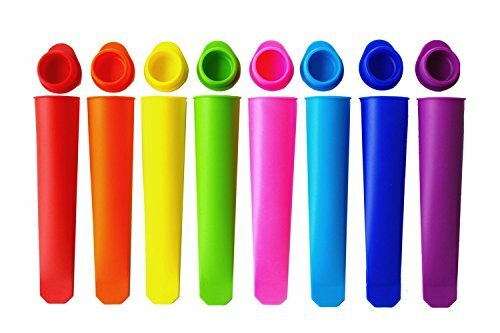 I share a few resources below that will help you mold the popsicles. 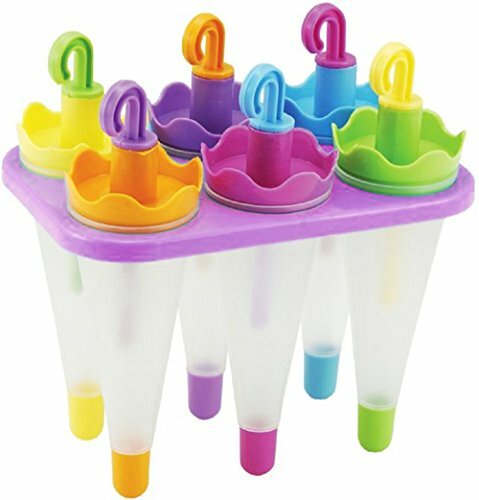 Popsicle base – You will need some sort of liquid base for the popsicle. You can start with fruit juice, yogurt, applesauce, or some sort of fruit puree. I enjoy pineapple juice as a base in my popsicles. I love the hint of sweetness that pineapple gives. If you start with yogurt, I recommend Greek yogurt because it has a higher fat content which will give you a creamier popsicle. If you want something slightly less healthy as a treat, you can begin with pudding as a popsicle base – just please make sure it is homemade and doesn’t have any artificial ingredients in it. 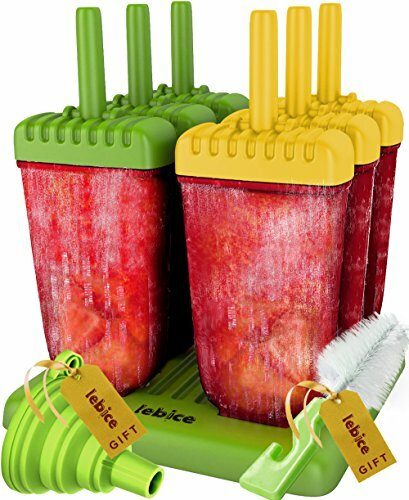 Popsicle add-ins – One of my favorite things to add into popsicles is fresh fruit. Strawberries, blueberries, kiwis, peaches, nectarines, grapes, etc. You may need to slice these in pieces depending on how large the popsicle mold is. I like adding more than one type of fruit in my popsicles. Strawberries and bananas are one of my favorite combination. Try pureeing Greek yogurt with fresh strawberries or peaches. Sweetener – You really shouldn’t need any type of sweetener added into your popsicles. Fresh fruit is really quite sweet on its own. If you absolutely have to add some type of sweetener, add a few drops of liquid stevia with the popsicle base and stir well. Adult options – If you want to enjoy a healthy popsicle for yourself, you can make a Popsicle base from cold coffee, cold green tea or cold herbal tea. If you’re using coffee, try adding a little bit of stevia and fresh cream or milk as the base. You can stir in a tiny bit of chocolate syrup if you’re feeling truly decadent. If you want your popsicles on the sweet side, you can mix your favorite tea with fruit juice. Water freezes harder than juice or add-ins. Have you ever bitten an ice cube? If you don’t add in a bit of juice or another type of add into your popsicle, they will be very hard and difficult to bite. The more extras you add into your popsicle, the longer it will take to freeze. Experiment the first few times you make popsicles until you have an idea of how long each type takes. Fill your popsicle molds with the cut up strawberries and bananas. Pour over cold herbal chamomile tea. What a great recipe idea and perfect for summer time and those hot sunny days!! These sound delicious. I love popsicles in the summertime. Thanks, Cheryl. We do too! We have a major heat wave getting ready to sweep through my neck of the woods, and recipes like this are a great thing to have on hand. I hope they help you make it through! Great idea.. My kids will love this.. Thank you..